"We would have been spared the ignominy and disgrace of great scientific men bending their efforts to defeat the purpose of one of the greatest laws ever enacted for the protection of the public welfare. Eminent officials of our Government would have escaped the indignation of outraged public opinion because they permitted and encouraged these frauds on the public." -- Father of the Pure Food and Drugs Act and USDA Chief Chemist Dr. Harvey W. Wiley, MD, in 1929, on what America might have had if the Act were enforced as intended. Adulterated grain products from China slip through Humvee-sized holes in America's regulatory safety net and then sicken and kill thousands of pets. Counterfeit and toxic ingredients poison tens of thousands of people worldwide and continue to threaten America's food supply. And tubes of toothpaste laced with the antifreeze diethylene glycol actually wind up on store shelves around the country before someone with authority can order them pulled, but not before the public learns that the scientists and analysts at our Food and Drug Administration are so underfunded--and stretched so thinly--they can inspect only 1% of imports, if that. All of which makes recent downsizing revelations that much more shocking: not only has the Bush administration pushed for further shrinking of FDA staff--today, the agency has 1,000 fewer scientists and analysts than in 1997 (despite the number of imported goods having skyrocketed during that time) and management wants to fire or retire even more of these specialized personnel--the president has actually closed numerous laboratories already and plans to close yet more. "In the middle of all these outbreaks and contamination issues, the timing of the proposal is extraordinarily bad," said Chris Waldrop, director of the Food Policy Institute at the Consumer Federation of America. Over the next several years, the FDA wants to close labs in Philadelphia; Denver; Detroit; Alameda, Calif.; Lenexa, Kan.; San Juan, Puerto Rico; and Winchester, Mass. Those operations and an estimated 250 employees would then be moved to five multi-purpose "mega-labs" that could handle all types of FDA testing. The multi-purpose labs are in Atlanta; Jamaica, N.Y.; Jefferson, Ark. ; Irvine, Calif.; and Bothell, Wash. A forensic chemistry lab in Cincinnati wouldn't be affected. This enfeebling of the FDA, a key agency entrusted with protecting the nation's food supply--the safety of which is regularly threatened--has already produced grim consequences. If the lab-closings continue apace, the agency's current and less-than-1% inspection rate is going to start looking good. The tragic deaths of thousands of cats and dogs, and the unprecedented pet food recalls that followed, would of course leave Americans with many unanswered questions. Even so, the tragedy led to several unexpected discoveries. Using sophisticated drug screening panels, the lab determined a banned rodent poison called aminopterin might be killing the household pets. "We brought about 100 years of combined expertise to bear on this," said lab Director Daniel Rice. "Trouble shooting with each other was a real asset in this case." [...] The lab has been around for decades, but became part of FERN after the Sept. 11, 2001, terrorist attacks as part of the government's effort to protect the nation's animals and food supply. Yet two days prior, the New York Times reported that FDA scientists held a press conference during which they said the affected animals' kidneys were full of melamine crystals, and that the pet food itself had been found to contain melamine. And what of this Food Emergency Response Network? It's a recently-established group of state and federal labs, the allegiance and cooperation of which are called for in the Presidential Directive 9 of The Bioterrorism Act of 2002--in other words, it's flush with Homeland Security funding. "In warfare, the military must attack the jugular of its opponent," said principal investigator Phil Pohl. "Here, we ask the same tough questions, but to identify the food supply jugular and protect it." Specifically, the CARVER questions follow its acronym to ask how Critical, Accessible, Recognizable, and Vulnerable each part of any food process is, as well as the physical Effect of an unwanted intervention and how long it would take to Recover from it. "Shock" rates the degree to which a specific attack on the food chain would raise public apprehension. "An attack on a baby food plant would produce more emotional shock than one on a frozen pizza plant," says Sandia researcher Susan Carson, who worked on software that helped develop the questions needed for a one-size-fits-all program. "We factor that in." Sandia works in partnership with Lockheed Martin, a multi-faceted defense contracting conglomerate and consistently one of the largest recipients of American tax dollars. The corporation is as much a training ground for politicians, particularly those with budget-appropriations powers, as it is a repository for departing politicians seeking private-sector lobbying and legal work. It is also part of an unofficial alliance of lobbyists, defense contractors, and the Pentagon which, in Washington, is known as The Iron Triangle. Hadley, looking out of the windows from his West Wing office, was on the inside. Sure, Hadley had the requisite government experience for a deputy national security advisor. He had been an assistant secretary of defense under Bush's dad. But he had been through the revolving door, too: Stephen Hadley, the point man for justifying the invasion of Iraq, had also lawyered at Shea & Gardner, whose clients included Lockheed. We know that the FDA, like many federal agencies, is cutting costs by replacing human analysis with computer-generated versions. We also know that an algorithm doe not follow the same processes as a human brain. A trained analyst employs (among other skills) constructivist logic: he or she would make the obvious leaps from a pet-food threat to an animal-feed threat to a human-food-supply threat. Was the CARVER + Shock software used to arrive at the more mathematically-based (and incorrect) conclusion that a few dog and cat deaths simply weren't all that threatening? 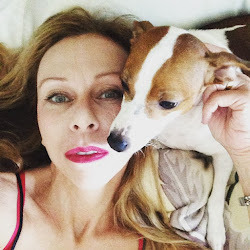 And did this in turn lead to critical delays--delays during which adulterated food kept making its way into consumer's homes and ultimately into the bodies of American pets, as well as livestock--and thus the human food supply? Don't Circle The Wagons--Eliminate Them! The proposed closure of numerous FDA laboratories over the next few years is not widely mentioned in the national media, but newspapers in the affected cities--Denver, Detroit, Kansas City, Philadelphia, San Francisco, San Juan, and Winchester Mass.--have reported on the shutdowns and consolidations. As one would imagine, the scientists are not happy: the downsizing of any organization inevitably means job losses, relocations, and an overall lowering of esprit de corps; in this case, the downsizing also means FDA scientists and the work they do will be compromised, undermined, and delayed at a time when the nation can least afford it, too. Two senior House Democrats are ripping what they say are Food and Drug Administration plans to cut more than a third of its regulatory analysts. For its part, the FDA says it won't eliminate any jobs; instead, the agency plans to "redeploy” positions--hire a field investigator instead of replacing a scientist, say--should employees leave, which many assuredly will do if their options are to relocate themselves, their spouses, and their families or find work in the private sector. Of course, the talent and experience of these often highly-specialized scientists will go elsewhere, too. When the closure/consolidation plan was first set forth over a decade ago, a 1996 GAO (General Accounting Office) audit proved the closures and analyst cutbacks were a terrible idea, declaring that the projected cost savings were overstated, the operational efficiency gains from consolidation, questionable. A forthcoming GAO audit is expected to set forth even more arguments against the lab closures. But some congressional Democrats say labs such as Detroit's -- located along the river just miles from the Ambassador Bridge, one of the busiest border crossings in the nation -- should be built up, not shut down. "It's just not a priority with the FDA," Stupak said Wednesday of imported food inspections. "They're trying to reduce the size of government." In a letter last month to Appropriations Chairman Rep. David Obey, D-Wis., Dingell and Stupak said there is evidence the FDA plan would drastically undercut the agency's ability to inspect food at a time when reports of outbreaks have been in the news, including salmonella contamination in peanut butter and tainted pet food linked to ingredients from China. Q Critics make the case for a single food safety agency with recall authority and a mandate to standardize inspections. A Simply creating a single food safety agency, moving groups of federal employees around under a different organizational structure, frankly, I think is more likely to create a bigger hole in food safety, certainly for sure in the short term. I worry about that. 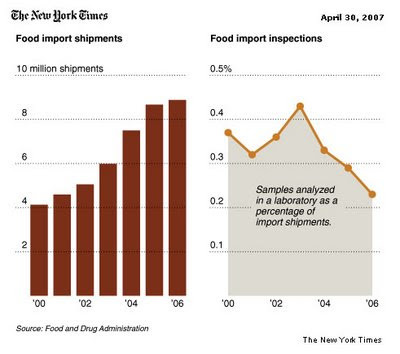 Q The agency inspects roughly 1 percent of the $60 billion in imported food. How much more does the FDA need for inspectors? A I do not believe that simply doubling, tripling, increasing by a factor of 10 the number of inspectors is going to solve the problem. One has to build this into a comprehensive preventative strategy, working with industry to help them understand what preventative controls work the best. You then need to potentially verify that they're doing that. At this point, any reasonable person will be asking how the closure of important (and in most cases, highly specialized) labs could possibly be a good idea for the country. For one thing, consolidating them into mega-labs means locating vital analytical resources in a handful of highly-populated, highly target-rich areas: Atlanta, Jamaica, N.Y. (near Manhattan), and Irvine, CA (near Los Angeles), for example. It makes no sense to concentrate the nation's best scientific minds and resources in the cities most likely to be affected by a terrorism incident, as history has borne out. Certainly not when America may well need to rely on fast, accurate, and specialized lab work in order to save lives. Cheerful It's Our Centennial! press releases notwithstanding, America's Food and Drug Administration in 2007 is a battered and beleaguered vessel under assault from all sides; virtually since its inception, the agency has been underfunded, undermined, and overruled to near-death. That it chugs along anyway can be attributed to the dedication of scientists and analysts on board, Americans whose talent, training, and ethics qualified them for the job of protecting American consumers in the first place. Make no mistake, though: the Bush Administration have already cannibalized the Good Ship FDA--"reassigning" analysts, closing labs and pushing to shutter even more--and as recent food-contamination and toxic import scandal have demonstrated, it's been taking on water for some time now. And the likelihood of being afloat come the next dawn almost completely depends on the kindness of sponsors. "The FDA has essentially become the government affairs office of the pharmaceutical industry," (Congressman Maurice Hinchey, D-NY) said in a statement, which called the relationship between the agency and industry "far too cozy and inappropriate." Hinchey is the author, and Bart Stupak, D-Mich., the chief co-sponsor of an FDA reform bill that would prohibit the agency from collecting fees from the companies it regulates. Instead, the money would be deposited into the general fund of the U.S. Treasury. According to the Appropriations Committee, two officials of the Biotechnology Industry Organization and two officials of the Pharmaceutical Research and Manufacturers Association attended at least half of the 112 meetings. In a statement, the FDA's Susan Cruzan said the agency faced a number of technical problems to be resolved before submitting the proposal. The FDA had "extensive discussions" with the industry about financing, marketing and infrastructure. She added that the agency also met with consumer groups and that each meeting followed the law's requirements. "The data surrounding the FDA's meetings on PDUFA IV make it more clear than ever that the agency and drug industry continue to have a relationship that is far too cozy and inappropriate. By treating the drug industry like a privileged client that deserves preferential treatment rather than a regulated industry, the FDA is jeopardizing the health and safety of the American public. There is no reason for the FDA to meet nearly two dozen times as often with the drug industry than it does with consumer and patient groups. It's time for Congress to step in and fix a broken system so that the American people are the only clients the FDA serves." Stupak said, "The FDA's 112 meetings with drug industry groups offer stark evidence of the coziness between the FDA and the drug industry. Congress must work to provide sunshine and transparency to the new drug approval process. At a minimum, Congress must ensure consumer advocates are present as we move forward with re-authorization of the Prescription Drug User Fee Act. The health and safety of the American people are at risk when drug industry representatives are the only individuals in the room advocating new drugs and keeping harmful drugs on the market." Despite consulting with industry representatives 112 times on PDUFA IV, the FDA apparently only had discussions with consumer and patient groups five times. Sadly, Americans are almost at the point of no return, shock-wise; that we have in fact come to expect this behavior from our leadership in Washington reflects a disturbing level of resignation on the part of voters. 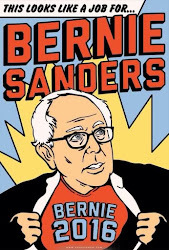 And as far as Big Pharma--or for that matter, any giant commercial interest--is concerned, a resigned electorate is a docile, easily-convinced one. What happens to individuals within the FDA when they speak out about the dangers of potential drugs? They're smeared, discredited, ignored, and pressured to resign. In August 2004, Graham told his supervisors that, in light of his research, high-dose prescriptions of the painkiller Vioxx, which appeared to triple heart attack rates, should be banned. They told him to be quiet. Their reasoning was circular: That's not the FDA's position; you work here; it can't be yours. Dr. Andrew Mosholder, another FDA reviewer, faced similar pressures last year when he completed a study showing that antidepressants increased suicidal behavior in children. Further studies proved that Mosholder's science was spot on. But his bosses told him not to report the findings. When someone with access to the study passed his results to the press, the FDA launched an investigation into the leak. According to Tom Devine at the Government Accountability Project, who later became Graham's lawyer, several scientists were interrogated and threatened with possible jail time. Such intimidation has worked. In 2002, about one in five FDA scientists told federal investigators that they felt pressure to approve drugs despite reservations about safety and efficacy. Two-thirds said they lacked confidence that the agency adequately monitors drug safety after approval. Johann-Liang speaks of a convoluted system in which the FDA requires a higher level of proof of risk than of effectiveness. The FDA approves diabetes drugs such as Avandia if clinical trials show they meet the "surrogate endpoint," or goal, of lowering blood sugar, she says, but then doesn't require makers to do follow-up studies of whether patients actually feel better and live longer. Said Cicero, The welfare of the people is the ultimate law. After the Civil War, America and her economy were transformed by the onset of the Industrial Age; factories opened and communities became cities, making it necessary to bring in grains, milk, eggs, and meats from outlying rural areas in order to feed everyone. As the distance between field and table grew--with numerous types of goods now traveling miles and changing hands repeatedly before a customer ever bought them at the store--the average American pantry would come to contain a variety of threats to human health (and even life). It was during this time that USDA chemist Harvey Wiley embarked on a mission to clean up the nation's food supply and promote the growing and preparation of healthful, unadulterated food to American farmers and consumers. Wealth in America was rapidly leaving the hands of a large number of landowners and flying into the hands of a few industrialists, reaching the point before the end of the century when about 60 percent of the wealth was in the hands of one percent of the population. Along with the boom in business, the nation found it would have to undergo what began to be called, euphemistically, "cycles"-crashes at regular intervals. There were full depressions in 1873, 1884, and 1893. Perhaps just as important, business and politics had merged into one entity. The era of the common man envisioned not long before had never arrived. The control of politics, once in the hands of kings and hereditary gentry, rapidly passed to a moneyed class. [...] The United States Senate was referred to as the "millionaire's club," and it resembled a convention of industry representatives. Because of strong party control over state legislatures and election rules, it had become common for wealthy men to pay a fee to the party to get themselves nominated and elected to office. "The Senate, instead of representing geographical areas, came to represent economic units," writes historian Sean Cashman. In Congress, it was lumber rather than Michigan, oil rather than Ohio, silver rather than Nevada. There were no public services to speak of, and protests were crushed by private squads or government troops, or both. All through the 1880s and 1890s, pure-food bills were introduced into Congress--largely through his work--and all were killed. Powerful lobbies had established themselves. To bring his cause to the public, and with a budget of $5,000, Wiley organized in 1902 a volunteer group of healthy young men, called the Poison Squad, who tested the effects of chemicals and adulterated foods on themselves. Women banded together, notably in the Federated Women's Clubs, for political clout. Major canners became supporters of the legislation and voluntarily abandoned the use of questionable chemicals. Finally, the battle was won on June 30, 1906, when President Theodore Roosevelt signed the Pure Food and Drugs Act, largely written by Wiley, who was then appointed to oversee its administration. The battle had been won--but not the war. Wiley had many adversaries in Congress and in the food and patent-medicine industries, and in 1912 he left his government post. A headline of the day read: WOMEN WEEP AS WATCHDOG OF THE KITCHEN QUITS AFTER 29 YEARS. It is true that women activists were Dr. Wiley's allies, just as it's true that the nation's favorite chemist enjoyed widespread popularity among women in general. The trouble was, women couldn't yet vote--how quickly we forget! Note that the FDA's article describes Dr. Wiley's adversaries as having been "in Congress and in the food and patent-medicine industries". However the agency might have elaborated on the lobbyists' tactics that ultimately forced Dr. Wiley--the accomplished and respected chemist who dared to investigate and criticize food additives; the official who dared suggest that whiskey makers who diluted their product with sugar water should be required to disclose this on labels--to leave his position. Missing from the FDA's site, too, are any excerpts from (or mention of) the book Wiley would write twenty years later (shown left), laying out in exquisitely-written and oftentimes dryly witty prose exactly what happened. Wiley's first manuscript was mysteriously lost at the printers, so he self-published a complete re-write, which reportedly took him another decade. Once copies of Dr. Wiley's exposé appeared in stores, they seemed to sell extremely quickly; then they, too, disappeared altogether. Today, few even exist outside college archives and the Library of Congress. To understand the nature of Wiley's opposition, consider that these individuals and their companies sought nothing less than censorship of a United States government chemist--one who headed up a then-novel regulatory agency and who was also a consumer advocate at a time when the protection of consumers was itself a nascent concept. With almost limitless malfeasance propping up their business model, silencing Wiley and preventing his truths from gaining traction in the larger public were acts of self-preservation. Wiley knew, of course. 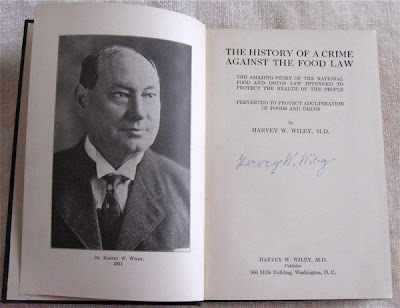 He lays it out neatly in the book's title: History of a Crime Against the Food Law: The Amazing Story of the National Food and Drugs Law Intended to Protect the Health of the People Perverted to Protect Adulteration of Food And Drugs (the entire manuscript is online here). At the time this investigation took place the total expenditures made by the Referee Board of the money appropriated by Congress to enforce the Food and Drugs Act amounted to over $175,000. Every dollar of this money was expended in protecting and promoting violations of the law. 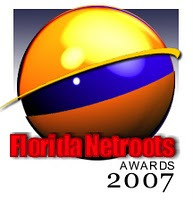 It seems strange in view of these findings which were approved by the House of Representatives that no effort was made to impeach the Secretary of Agriculture and the President of the United States who had thus perverted money appropriated for a particular use to activities totally repugnant to the purpose of the appropriation. [...] It is a striking comment also on the attitude of Congress and the people at large that no steps have ever been taken from 1911 to 1928 to correct these outrages on the American people and to attempt to restore the law to its power and purpose as enacted. Administration after administration has come and gone and these abuses still persist. In an effort to demonstrate how different the system is in 2007 and show how much progress has been made, FDA vanity articles and press releases point out how Dr. Wiley, working and writing all those years ago, could never have imagined how things would be now. Thus we see, through all the branches of food enforcement activities, this laissez faire principle. There is no longer any virtue in applying the penalties prescribed by law. There is no longer any adulteration that threatens health. Business must be preserved. Penalties were intended as aids to reformation. They are not now to be inflicted except as a last resort. Such is the regrettable condition into which law enforcement has fallen. Plus ça change, plus c’est la même chose. The more things change, the more they remain the same.